The cruise that shows you the very best of Manhattan - the only cruise to circumnavigate the Island! 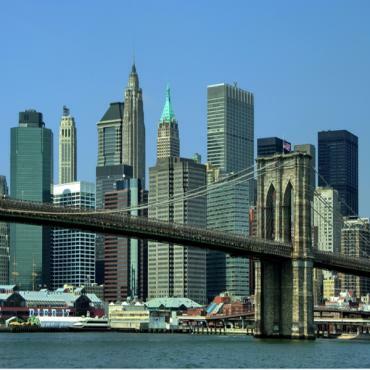 You'll see it all - 3 rivers, 7 major bridges, 5 boroughs, and over 25 famous landmarks. Your experienced guide will be sure to keep you entertained on this superb 3 hour experience. And you will be even lucky to get a close up view of the Statue of Liberty! Beverages, wine, beer, cocktails and food are available on board. Pick up by Circle Line from two convenient locations, Pier 83 at 42nd Street on the Hudson River and Pier 16 at South Street Seaport. Cruise does not operate Tuesdays & Wednesdays during January and February Closed Tuesdays during March. One sailing time during winter months - 12.30pm. Various departure times rest of year.